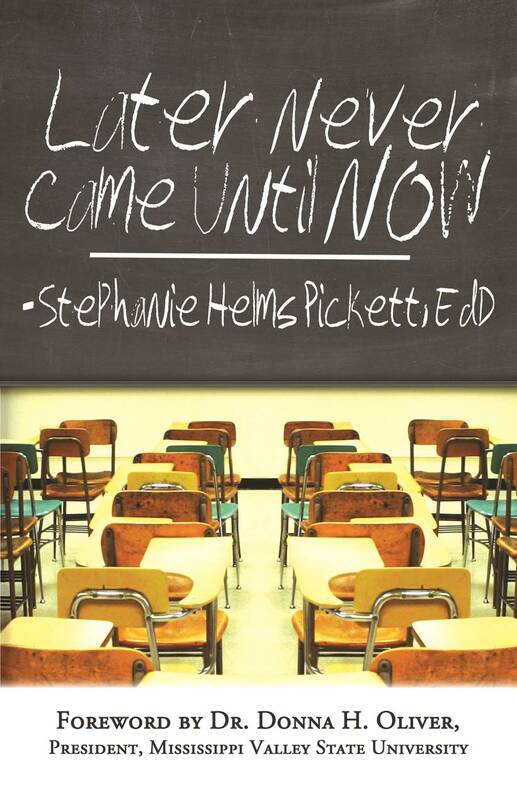 Stephanie Helms Pickett’s life has been reflected by Ephesians 3:20, “Now to him who is able to do exceedingly, abundantly, above all that we can ask or think, according to the power that worketh within us.” Reared in Chicago by her mom, her biggest inspiration, Stephanie fell in love with writing at an early age. She holds a Bachelor’s degree in Radio & Television Broadcasting from Southern Illinois University at Carbondale; and a Master’s and Doctorate degree in Higher Education Administration from North Carolina State University. She is the Director of Assessment & Professional Development Programs in the Division of Student Affairs at Duke University and Visiting Professor in the Program in Education. 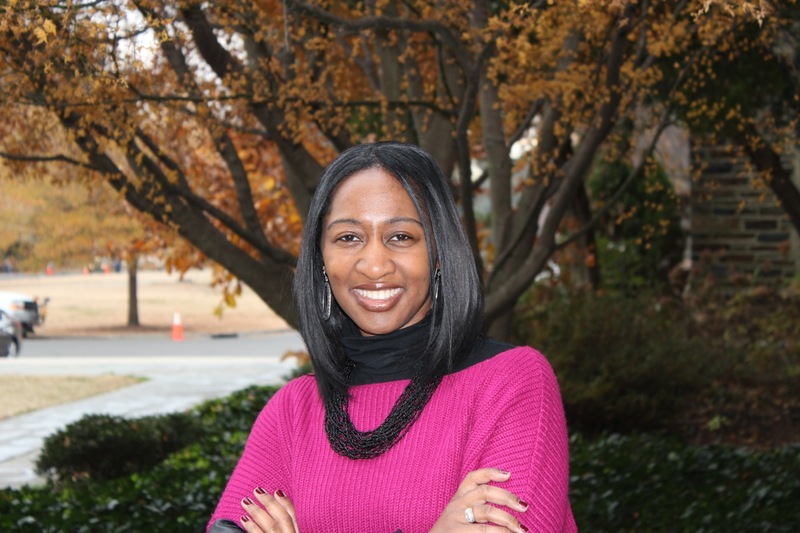 Stephanie serves as the Coordinator of the Anointed Soles Dance Ministry at Wake Chapel Church, in Raleigh, North Carolina, under the leadership of Pastor J. Jasper Wilkins Jr. She is a member of the Chapel Hill/Carrboro Graduate Chapter of Alpha Kappa Alpha Sorority, Incorporated. In August 2009 the Lord blessed her union to Charles Pickett, Sr,. Their blended family includes two teenagers, Charles Pickett Jr. (19), Niani, (18) and two dogs, Diamond Star and Gypsy. They reside in Raleigh, North Carolina. Stephanie: I’ve been working with The Jaxton Creative Group to develop the branding and marketing strategy for my book. I premiered Later Never Came Until Now at Wake Chapel’s Church’s Women’s Retreat in Virginia Beach in December 2012. A Facebook site under the name of Dr. Helms Pickett is operational by which I share daily insight and communicate with followers. The book was featured on an episode of Brand Newz, an online program hosted by Christopher Martin in March 2013, followed by a book launch at LabourLove Art Gallery in Durham, NC. In July 2013, I was featured on Literary Nation Live, a radio talk show highlighting artists and authors hosted by Patrick Oliver where I shared insight about the book and advocacy for parents in navigating the educational arena. My website is presently under construction and will go live in September 2013. Finally, I have several speaking engagements scheduled in the upcoming months. Each of these efforts has afforded the opportunity for connection and with other venues and people. I have a way to go, but small, intentional steps have continued to open doors and provide access. Stephanie: I found Oprah’s Life Lessons website to be incredibly useful and inspirational. Although it does not specifically address publishing or authoring, it is formatted from a curriculum and instructional foundation, as well as constructivist format that appeals to me as an educator and assisted me in processing how I could reflect in a manner which assisted me to conceptualize my thoughts into action. When I decided to self-publish, I found Mira’s site to be easy to navigate and answered many of the questions I had as a first time author. Stephanie: The greatest challenge for me in self-publishing has been the funding. As the parent of two college students the practice of setting resources aside to print my publication has been challenging. I did not want to go into debt, so printing the book has often moved slower than I desired. I am hopeful and I am a believer in the messaging of the book so I continue to remain motivated and determined to continue. I don’t believe I have exhausted all of the tenets of self-publishing to date. Stephanie: Interestingly enough, with only one book under my belt (and another in progress), I get this question more than I imagined and I am appreciative to share what I’ve learned thus far. As a new and aspiring author, it is critically important to remain focused on the prompting for writing. You cannot get discouraged and compare yourself to someone who’s been in the game longer than you. As authors, we strive to have a tangible, final product. The effort, pitfalls and loopholes one narrowly escapes or overcame to reach the end are not visible to the naked eye. Be persistent, be authentic and be purposeful and you will attain your expected end.